Seems like every time I catch up with my photog friend Ron Hiner I have to borrow his 24 PCE lens. This amazing lens allows you to tilt and shift the lens mechanism from the focal plane of the sensor. 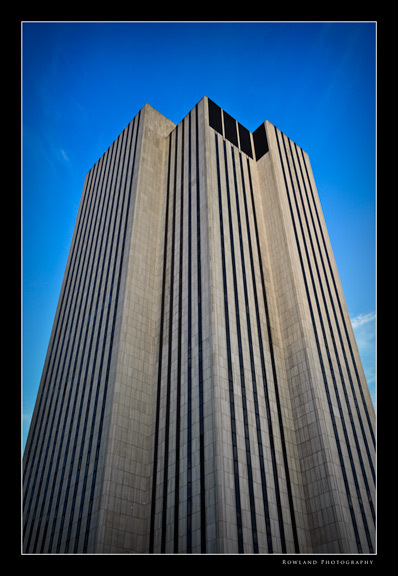 It’s most commonly used in architectural photography to “straighten” vertical lines (normal lens’ bow inwards do to the curvature of the lens). 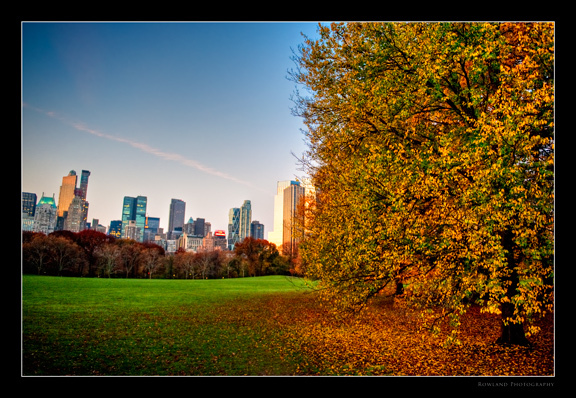 It also makes a great pano lens because you can set your tripod and then “shift” the lens on its vertical axis across a scene… viola’ instant panorama. Stood at the end of Grand Central Terminal in the direct center of the main lobby… wanted to make sure the image would be centered nicely. Snapped three shots and stitched them in CS3. Used Silver Efex Pro to convert to black and white (why? 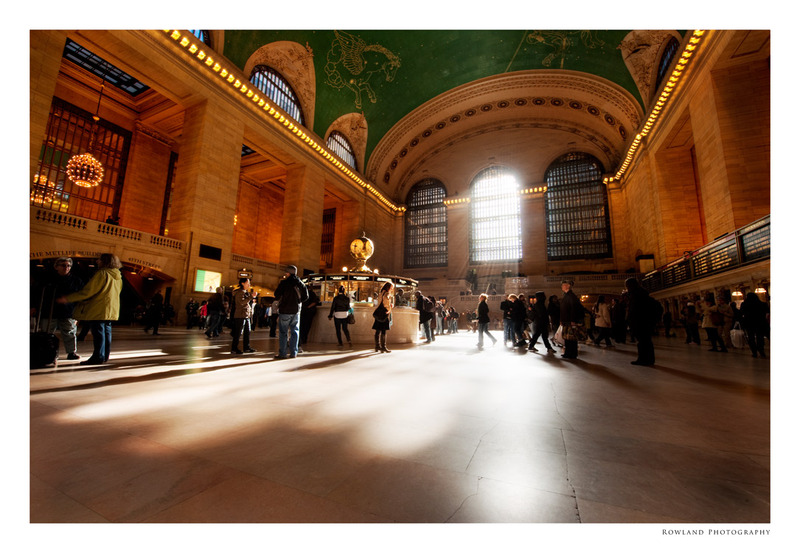 GCT is a timeless space… felt the B&W would give it this quality) Pretty straight forward. Love the architecture of this magnificent place. This location has been on my shoot list for quite some time, so I jumped at the chance when my photog friend Dan Horton put together a Merry band of Photographers to head into NYC and shoot Grand Central Terminal (with permits for tripods). You can’t help but think of the history of this place. Built in the late 1800’s, the original “station” was ripped down, and replaced with the current building in 1913. I read a statistic that 40% of the US population once flowed through this place. Its vaulted celestial ceiling, magnificent windows, and famous information booth saw the Great Depression, World War I and World War II, the nuclear and space ages… Simply amazing. Today hundreds of thousands of people a week rush down its stairs, through its tracks, and its main lobby to destinations near and far. And through all the rush and hub-ub, the building itself sits quietly, majestically, a cavernous testament to the quiet will of man. 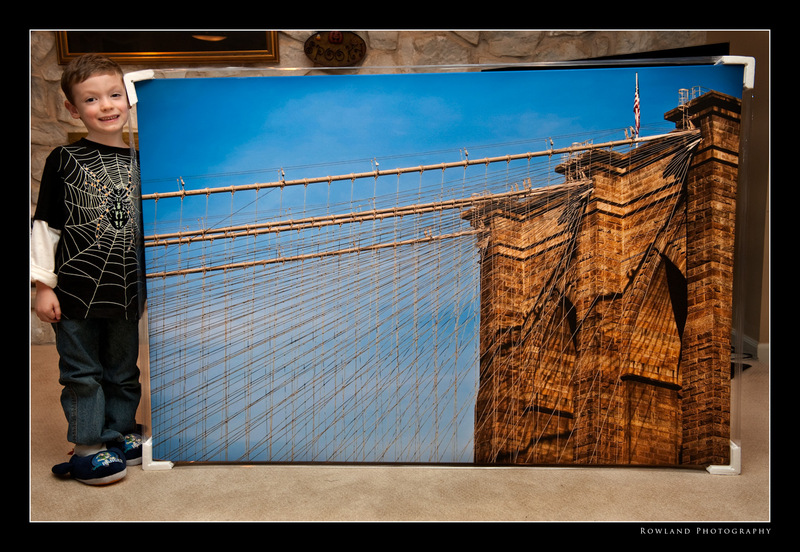 A potential client was flipping though my portfolio books and came across a shot of the Brooklyn Bridge. Not a full shot, just a shot of the arched tower, and the amazing cable work that holds the suspension bridge in place. I’ve blogged before that I have a true love affair with this bridge, when I see it, I just HAVE to photograph it… something about its history and the detail, and color make me lift my lens to capture it. Anyway, the potential client saw the image and asked how big could the image be made? They have a conference room with a big wall, and would love to have this image, on canvas, on that big conference room wall. Turns out I blew it up to a 40×60 inch size using Genuine Fractals and placed an order for it on canvas. Arrived last night. LOVED it! I included Aidan my youngest son for ‘scale’- he’s about to turn 5 years old next month. 🙂 Can’t wait to deliver this image to my client! 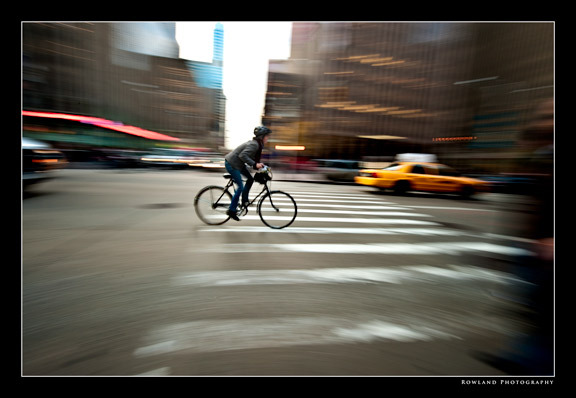 Quick panning snap of 5th Avenue and a cyclist cruising the streets. Always love the energy of NYC and the simple opportunities to photograph it. This shot has been done before, so when I took it, was just trying to have some fun. 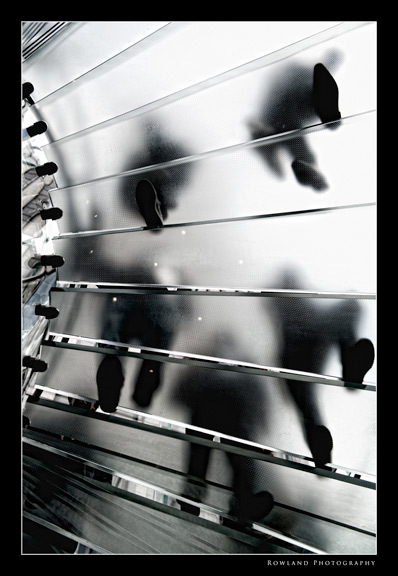 These are the famous Apple Store steps in Manhattan up by Central Park (around 56th and 5th, I think)- headed down into the store and randomly fired my shutter as people appeared on the steps above. Literally, held my camera about shoulder height, pointed it up and fired. That simple. Sometimes a simple snap is enough. This essentially is a study in lines. Vertical lines. This is a building at the foot of the Brooklyn Bridge. Just liked how it looked against this brilliant blue sky… which typically makes for interesting photographs. Wandering around lower Manhattan is really like being Alice in Wonderland… you never quite know what you’ll run into next. 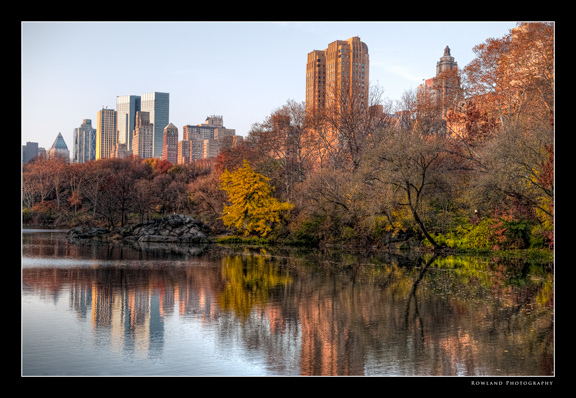 Whether its people shooting, architecture, or being a tourist and shooting the historical landmarks, you are sure to bump into something of interest. 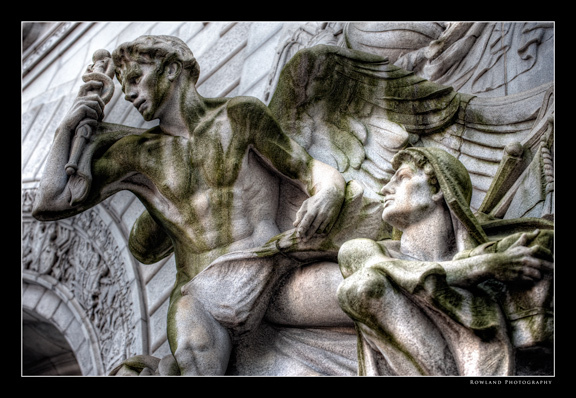 This was taken at the entrance to the Manhattan Bridge. There is actually a plaza at the foot of the bridge on the Manhattan Side that has roman columns, and statues cut ornately from stone. She holds a Lily in one hand and blesses the water below with her other hand. 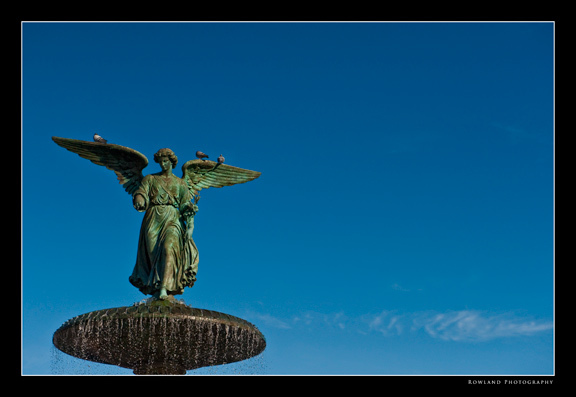 She can be found in Central Park at the Bethesda Terrace. Love her “other” winged friends that have found a brief respite from the hectic city life.